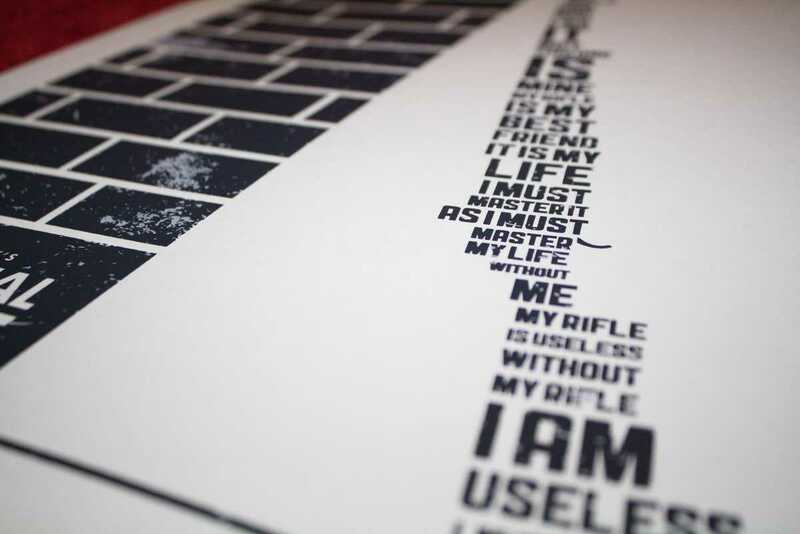 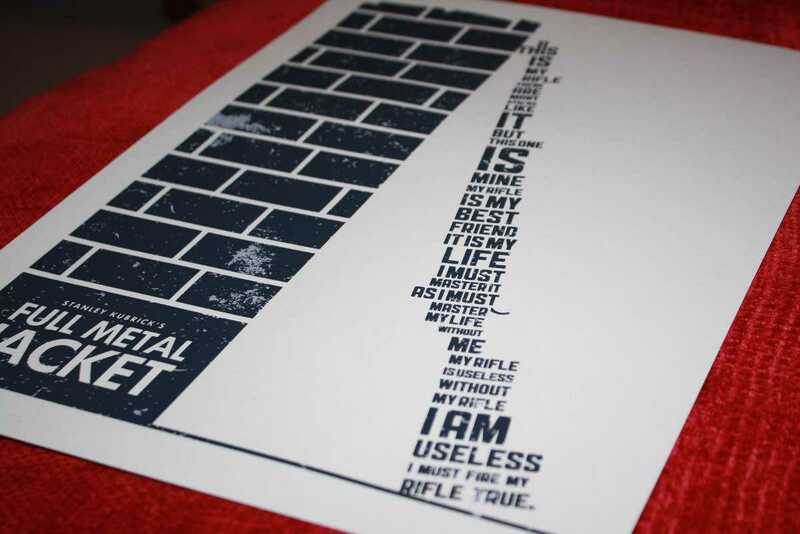 Livia’s smooth design features the Rifleman’s Creed in the shape of a rifle leaning against a brick-wall in a two color hand-pulled A3 print. 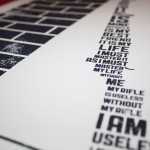 She even has a limited number of prints still available on her site. 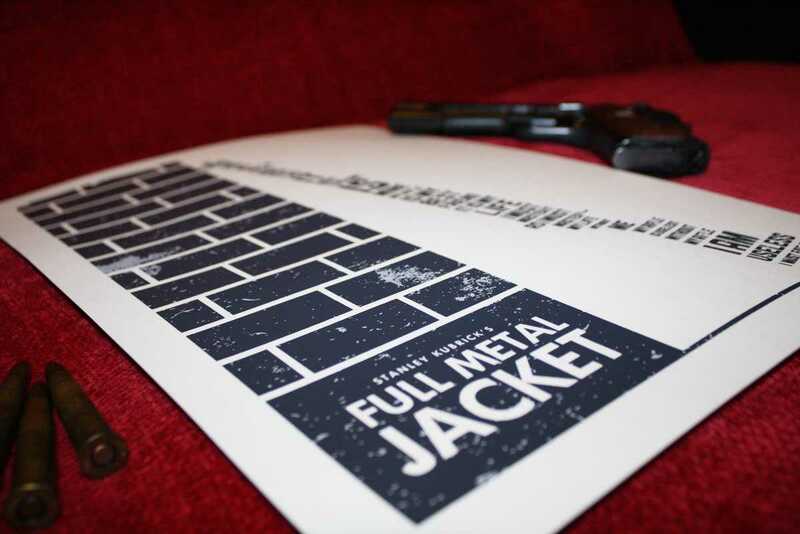 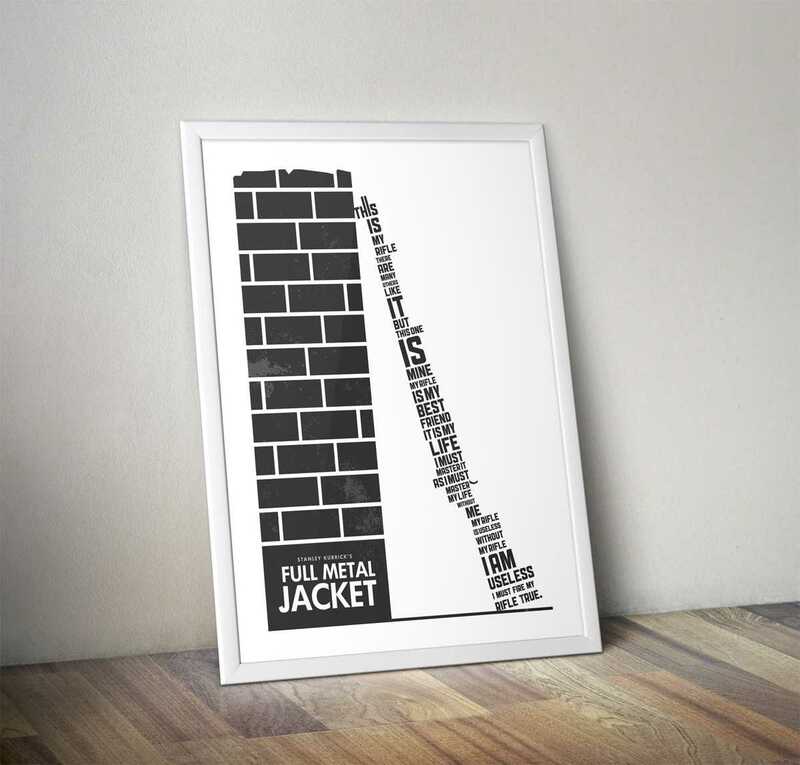 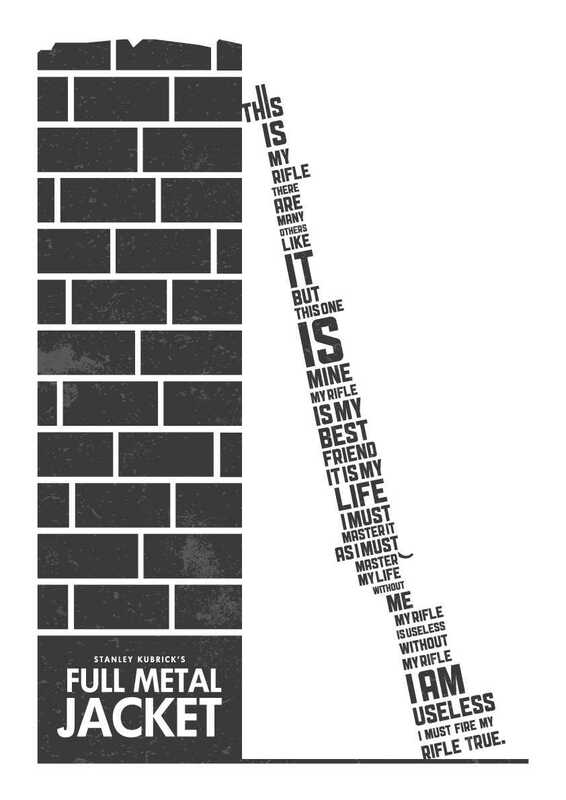 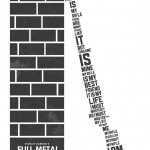 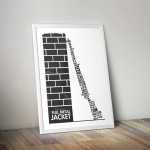 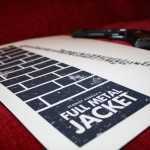 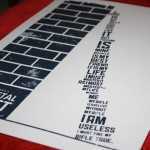 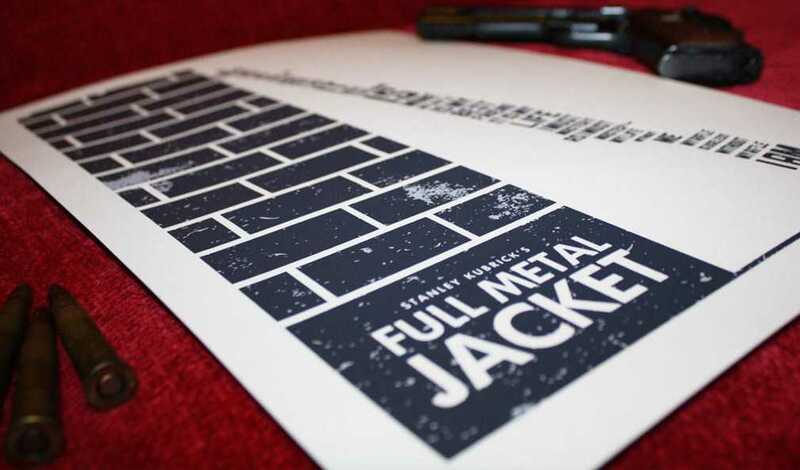 What do you think of Livia’s awesome minimal Full Metal Jacket movie poster design?